As the IPM develops a standardised measure for brand experiences, we look at the challenges of rating the effectiveness of campaigns. Will a standardised model for measuring effectiveness work? The search for a standardised measurement for brand experiences is nothing new – but 2017 heralds one of the strongest attempts to date to develop a metric for effectiveness. Pioneered by the IPM, the new framework is based on a number of existing agency models and a benchmarking test period is now underway. More than 15 key agencies and their clients are involved with or keen to support the scheme. XYZ’s managing director Will Mould is one of a number of survey respondents in favour of a clear measurement metric. "We desperately need this as an industry so that we can be taken seriously and show our effectiveness. Of course it needs to be flexible, projects are so different, but as long as it is led by the goals from the original brief, then we support this wholeheartedly. We are an industry clamouring to be taken more seriously, at the top table. Yet the issue of flexibility and standardisation continues to dominate discussions due to the scale and nature of campaigns being so very different. "It’s not like buying a standard TV advertising slot, or media space," explains Lou Garrod, deputy managing director of Sense. "Executing a live campaign at a festival versus something in a shopping mall is immediately very different because of audience behaviours, demographics, and even aspects like day of the week and time of day. "When you move from a high-end brand experience to a real-world idea that can be more stunt-based and then to the lower spectrum of a sampling campaign; you need to have something in place for each one of those. So I would suggest it’s difficult to standardise measurement. 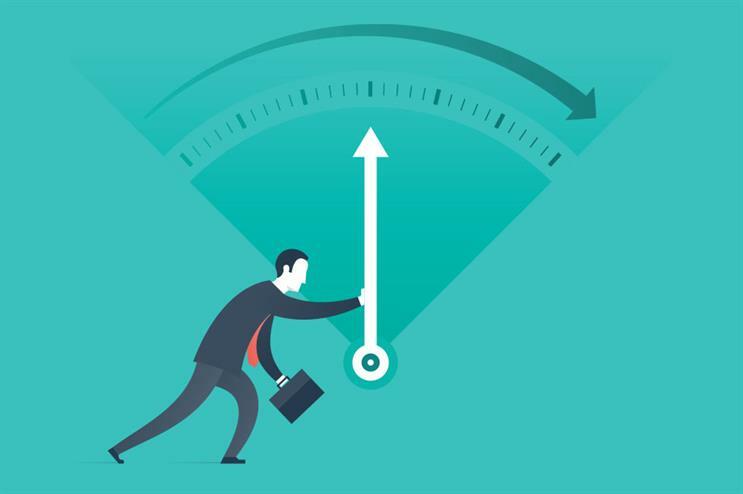 I think now that agencies are beginning to have their own models of measurement, the models may look similar, but the measuring itself won’t ever look the same." And indeed a number of agencies have developed their measurement methods, such as Sense’s EMR – Experiential Measurement and Research – which is based on consumers involved in a campaign and a test sample that haven’t been involved. A series of pre-qualified questions determine the effects of the campaign and clients can specify their KPIs and choose from brand behaviour, saliency and ROI measurement. In the absence of a standardised measurement tool and in a bid to deliver clear results for clients, many agencies have invested research and resources in developing their own methods, which in turn have become part of their proposition when working with brands. Yet ultimately, as Jack Morton’s managing director Mike Kunheim explains, the challenge for standardisation will only augment as brand activations become more prevalent and therefore, more varied. "One of the challenges we collectively face is that the accepted industry metrics for experiences per sector or per activity are very specific to the brand. There is not a single measurement that we can apply across the board." And while digital engagement and reach is increasingly becoming important, Kunheim believes social media metrics are the ones to focus on. "Social media metrics are even more important because they provide a data point that previously we haven’t had. Monitoring conversations on social media is critical. Sentiment and emotion are things that brand experiences are looking at far more deeply. It is a metric most brands are looking at. Reach in itself is less important, but it depends what the business challenges and objectives are." So as the IPM commences its 12-month test of the new scheme, it is clear that overwhelmingly agencies support a clear measurement metric that can be flexed to accommodate the ever evolving forms of brand experiences. But what about the clients themselves – how many brands are ready to set aside budget to measure their experience’s success against their objectives? TRO EMEA chief operating officer Michael Wyrley-Birch believes an independent third-party approach is best. "Brand and marketing managers are very comfortable with setting aside budget for third parties to independently do the research and measure this against their goals. However, when you work with event managers where it hasn’t been historically done, then they want the agency to do it out of the budget they have given them. But then it is not truly independent if the agency appoints the third party to measure the event’s success."